Everly Home & Gift – unique gifts. gadget style. This uniquely formed coat rack saves space while providing a striking decorative accent. It’s unobtrusive design makes it a perfect accessory for doorways and hallways. From the makers of the Useless Box, comes the next totally useless, but totally awesome gadget, the Solar Marble Machine! The Solar Marble Machine is a scaled down a marble maze that operates on its own using tiny solar panel. The latest member of the bathroom gang has climbed his way to the sink! this neat toothbrush holder’s newt-ural habitat is high up on your bathroom wall or cabinet. Oral hygiene is way more fun with Animal Toothbrush Holders! Kids will be excited to brush their teeth with these cute bathroom accessories in the shape of some of their favorite creatures! Take-off with endless fun and imagination by sliding the airplane toothpaste holder over most toothpaste tubes. A smart solution for the most vital things on your desk; a pot for your pens, rulers and whatever stationery you fancy. Add a pinch of fun and imagination to the bathroom with the Lobster Toothpaste Holder. Chimeras turn stuffed animals in to stuffed Toys. With interchangeable ears, arms and legs, Chimeras make plush toys more fun. Rewind back the years with the Rewind Desk Tidy. The Rewind Desk Tidy is a cool and stylish cassette tape tidy for your desk. It offers storage for up to thirty (30) of your pens and pencils as well as storage for your small stationary items. Designed to hold any combination of remote controls, mobile phones, wallets, glasses & more – the Snug Tidy is the perfect end table or nightstand accessory. The Leitmotiv Table is the perfect modern table that is appealing to the eye and practical to use. Check out these awesome aluminum dinosaur sculptures! These unique sculptures that resemble a variety of dinosaurs make a great gift for anyone into dinos or someone who just wants a cool lookin’ desktop figurine. The sculptures come fully assembled and stand completely on their own, no additional stand is required. Tokk is the latest innovative, stylish and functional hands-free smart speaker. Tokk allows you to take calls when your hands are occupied, it only takes one touch to answer and then you can carry on your activities such as exercise, work or driving. This smart speaker also plays music via Bluetooth so that you and your friends can enjoy music wherever and whenever. It’s lightweight modern design makes it a perfect accessory for almost anyone. This cube has already gotten a ton of attention recently but its only $3.17 right now and for that price you just can’t say no. The Fidget Cube can help reduce stress and anxiety while helping you focus on work or just helping you not be bored. There are 3 clicker buttons, 2 silent buttons and a joystick that are all equally satisfying. A fun, unique and geeky way to save your page in the book you are reading. Each individual Pokemon is hand-crafted for ultimate quality. This item makes a great gift for any age and is a great conversation starter. TAB is a multi configuration bag that can instantly expand or contract to fit what you need! TAB has 3 different sizes and 12 different configurations so you never have to go through the hassle of switching bags. It uses a simple cinch system to either expand or contract. The system is integrated into the design of the bag giving it a “low key” look. The floating bonsai tree adds a modern and artistic look to your living room, kitchen, dining room or your office! This gadget is perfect for all ages and uses magnets to create the illusion that the tree is levitating in air. It also has rocky base with a built in energy saving blue LED light. This modern fireplace is a simple way to add fire to any setting and is perfect for those cold, long, lazy winter days. It burns Moda Flame ventless ethanol fuel which requires no chimney, electric, gas or gel cans. The modern compact design makes it a great addition to any room/space indoor or outdoors! Show your extraordinary taste of life with cool bullets in your drink during group parties! This ice cube tray is a great conversation starter and a great gift for a farther or husband who enjoys guns/bullets. Simply pour water into the tray, close it and put it in the freezer to create your bullet ice cube. This ping pong score keeper has two table sensors and a net sensor that detect the nano-vibration of the ball which is extremely accurate at keeping score. The score keeping unit will announce the score and even tell you when to switch serves. The score display, net and sensors are easy to install on any indoor table! Have you ever had to get up after putting on a movie then getting in the most comfortable position because the curtains are still open? You can solve that problem with the BEME Motorized Curtain Rods, no more getting up in the middle of your favorite show or movie after your already comfy and cozy! This floor mat alarm clock is “LOUD” and will only turn off once the pressure of your feet have been on the mat for 3 seconds. Ruggie’s modern design is stylish and highly effective at waking you up. You can even play personalized MP3’s that reward you for getting up! Connect Ruggie via USB and upload using their software. Keep your entryway neat and clutter free with this wall mounted organizer. This handcrafted modern and stylish shelf can hold a variety of things including coats, mail, keys, wallets/purses, phones and backpacks! The Smart Home Control can pretty much do everything including climate control, playing music, smart lighting and even includes a intercom system. This control system is compatible and gives easy access to other smart home products like Sonos, Alexa & Nest. Typical installation is only 5-10 minutes. You now can clean your kitchen knives with confidence using the Scrub Knife Cleaner. The protective finger pocket and thumb guide reduce the risk of accidental cuts while effectively cleaning and scrubbing bacteria off your knives without damaging them! This bucket is a great item for parties, its unique shell design with built in LED lights allows you to choose from single color, multi-color or color changing by remote control to make sure it matches any theme! In addition to being able to store ice it can store much more such as: snacks, party favors, beverages and faux flowers. A simple and effective way to enjoy melted cheese or chocolate without the hassle of melting pots! This set comes with 2 mugs, 4 dipping forks and 8 Votive Candles. These mugs are dishwasher safe for easy clean up. 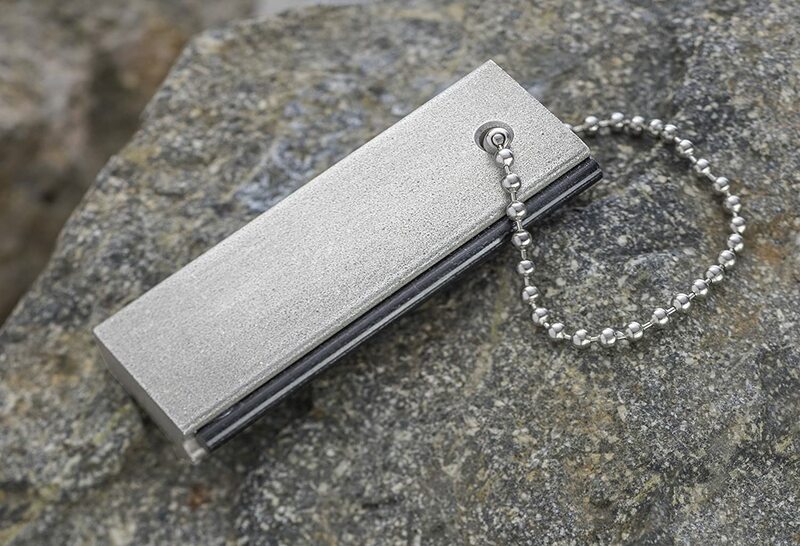 This portable charger attaches right to your keychain so you’ll never be without a charger again! When folded it measures 1.5″ making it very portable and it comes in 9 different colors so you can choose your favorite one. Let your cat have endless fun with the new playhouse series! Pick from a plane, cabin, Cadillac, laptop, dj deck, fire engine, tank or a tepee. No tape or glue required, simply read the instructions that are included to create the playhouse and watch your cat do hilarious things. Experience getting accurate measurements easier than ever with these new reversible measuring cups! This new design makes viewing your measurements the most accurate they can possibly be and this design also makes it an easier and faster clean up! With a low month fee you will receive great benefits! With no cable or satellite account necessary you can watch popular TV shows and blockbuster movies, and unlimited access to any other movies you want to watch! This hilarious party game will surely make everyone in the room laugh and bring you all closer together! Teams of players, while speaking with a cheek re-tractor in, try to read and interpret phrases! One of the funniest games is now available and for a cheap price! With this waterproof Bluetooth speaker, you will top off your day out on the water with your favorite soundtracks right beside you! This speaker is not only waterproof but it also comes with a built in mic so that you can talk to it hands free, and it can play up to 6 hours of music! Come check out these amazing deals on exercise and fitness essentials! There are items up to 30% off and deals of the day! As well as all the apparel that you need to fulfill your new years resolution! Enjoy unlimited reading and unlimited listening on any device with the Amazon Kindle free trial! You can take your reading anywhere you go, read older books or current magazines! With this new pro quality camera you can take pictures that truly capture every moment. It can connect to your iPhone or iPad that will provide touch control and instant sharing! It comes with fast shutter speed and long exposure to ensure that you are taking the highest quality picture! With this new cup you will turn heads anywhere you are! This LED sipper cup comes with built in LED’s that light up and bring out the contents of the cup, give any beverage a stunning look with this cup! Use the most of any small space you have in the bathroom when you use these lamb and sheep toilet paper holder. Not only will you save space but toilet paper will be in reach and this set up will make your bathroom look unique and appealing to the eye! Show your pet your love while you groom them with these pet grooming gloves. Both gloves will act as a brush for your pet but they are also designed to catch any loose hair! Use it on big or small animals, either way, you will enjoy using these gloves as much as your pet enjoys being groomed! You will never have to worry about any hazards that could result from leaving appliances on when you get this new gadget! It is an easy set up by just plugging it in and setting a timer, use it for irons, hair appliances or anything else in the house! Turning any living room into a fancy art display with this new item! The tables design allows the top glass to hover a few inches above the base, you wont have to worry about it falling just focus on how awesome your living space will look! Already seen Finding Nemo? Well now watch Finding Dory! This movie is the perfect family movie that will be enjoyable for everyone and will make people giggle! Explore with Dory and watch her search for answers about her past. Check out this free trial and instantly watch thousands of different movies or TV shows, but you will also get unlimited FREE two-day shipping on anything you order! You can take advantage of these 30 days and order or watch anything you want! One of its amazing parts, is that it comes with ad free music as well as unlimited photo storage! One of the best ways to get the whole family together is by pulling out this involving game! From being a spy or agent to revealing secret identities this game is perfect for the whole family! If you ever need anything opened in your household this is the perfect tool! With a sturdy hardened aluminum frame and a clean, sleek design this multi-tool opener will do the job opening cans, opening lids, opening twist caps, and just about anything else you could think of! At a reasonable price and a decent size this opener can fit anywhere! Make your room pop when you purchase this wooden wall sculpture today! With its color and texture it will make any boring wall look like a completely new and modern design! Hurry up, don’t miss your chance to purchase this now! By installing this new light switch you can control any lighting inside your home as well as setting timers! It takes just one second to install, with its magnetic attachment it goes right on top of an existing light switch, it requires no programming and it is very easy to use! With this jet engine coffee maker you will always feel like an airplane mechanic and you can either make coffee beans or loose leaf tea! Start off your day strong with this new coffee maker! With this LED flower bonsai tree you will definitely bring a sense of serenity into your home! This tree is just under 2 feet tall and it comes fitted with 36 warm white LEDs, which, work both inside and outside! Hurry up and buy this new item now! You know those nights when you just want to get to bed but you have to make sure you read to your child. Now with this new story telling teddy bear your child can have a story read to him/her by this magical teddy bear! When getting this bear you will also receive a 40 page illustrated book and the bear will be able to recite 5 of those stories! Purchase this gadget now which tracks any chemicals and toxins in the air while also monitoring temperature and humidity! You can view all of these numbers right on your phone, make sure that you are breathing the cleanest and healthiest air possible! Never waste time making your bed again! With this new self-making duvet cover you can get ready in the morning while your bed makes itself! Hurry up before you miss your chance to get this new product now! This Echo Dot is the new hands-free, voice-controlled device which uses Alexa to play music, control smart home devices, provide information, read the news, set alarms, and so much more! It is small enough where it won’t be in the way and it is simple to set up! There is so much to this little device, purchase it now to learn and experience all its tricks! Your gifts will definitely stand out the most when you put them into these light up gift boxes! These boxes come with built in LED lights that change into numerous vibrant colors! They are battery operated and they come in packages of 6, hurry up and purchase these today before Christmas! Make your own homemade treats look like they came right from the bakery with this new swirl Icing Coupler! you can combine either two or three different colors of icing onto your cookies or cupcakes. Don’t miss out on your chance to get this product now! Your feet will never be cold again this winter when you purchase these microwavable boots! You can heat them up and slip your feet into these plush fabric slippers or put them in the freeze to serve as a cold pack for any injuries! Hurry up and get these new slippers now! With these Stellar LED Bows your presents will stand out the most under the tree! These come in a set of six and each bow has its own built in fiber optic that blinks and changes through a whole cycle of colors! You will never a have to clean up a mess from cereal again when you get this product for your family today! It comes in a pack of 6 with different colors and the spoon has a new straw built inside it! This new high capacity wallet is the perfect size to keep all your personal possessions right at your hand. With 12 card slots, a large money storing pocket, and a protection for iPhone you will never have to worry about someone taking your things or misplacing anything again! After following the simple and quick recipes and directions given you will have ice cream in just minutes! With any flavor you want, this instant ice cream maker is perfect for all the ice cream lovers out there, treat them by purchasing this product now! This powerful piece shows a sizeable pyramid of 50 Euro denomination bills burning slowly through the top of the table! With this purchase you will be the talk around the block hurry up and get it now! You will never have to plug in your charger or headphones in at different times again with this new adapter! Simultaneously plug in both at the same time and your music will never be interrupted again! Buy this sleek gadget today that instantly adapts to any device you point it towards! Including your TV, speakers, lights, and much more! With an LCD screen this remote not only controls everything but it is also very appealing to the eye. With all natural ingredients this charcoal soap will give your bath the perfect earthy feeling that you are in need of! This soap has a black exterior with reddish streaks that has a serene look to it. Don’t miss your chance to get this charcoal soap! Just a simple cheek swab and you will find out what breed your dog is in seconds! You will know 100% what genetic make up your dog has and you will never be unsure again! 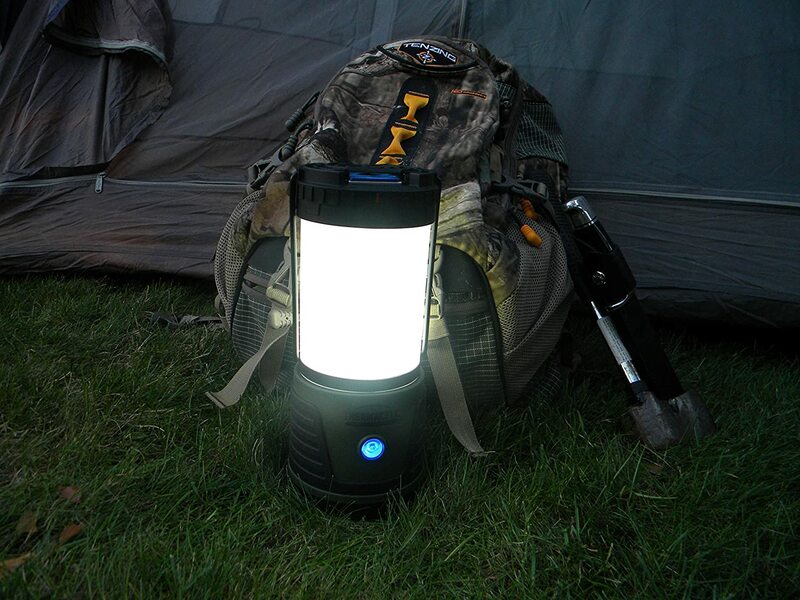 Bring this item to your next camping trip allowing you to start a fire quickly, you will have a handy flashlight and lantern right at your hands! 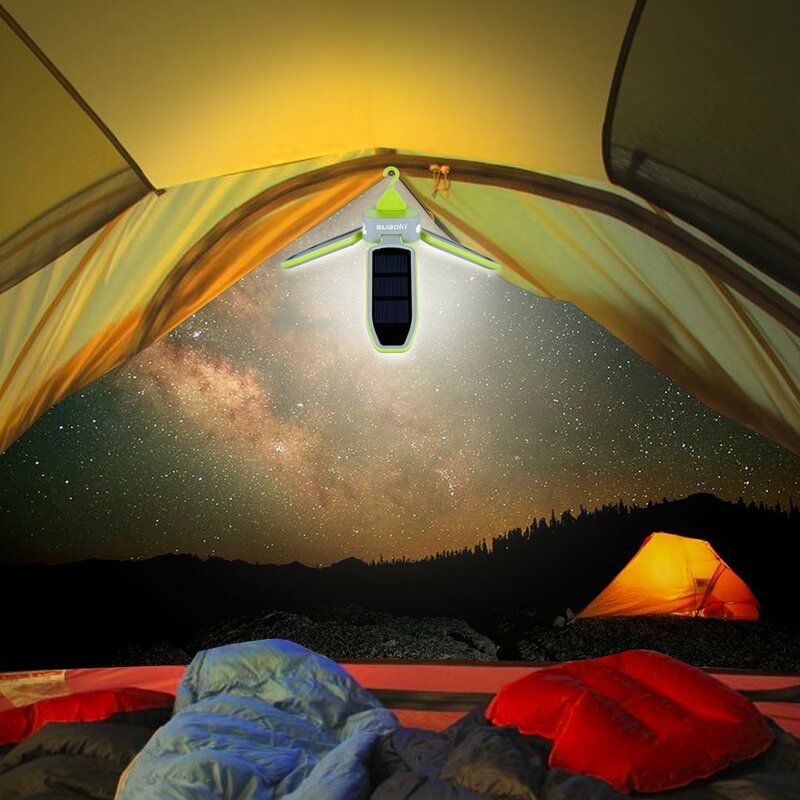 You will have all you need next time you wonder off into the wilderness with this gadget! This handmade game will put your golfing and arcade skills to the ultimate test! This will be perfect for any activity and it will be an ideal game to play outside! Using this placemat will avoid any messes during lunch time. This can be perfect for little ones, older adults or anyone who wants to eat their lunch outside! With a full zipper you can also wash this lunchbox and reuse it any time you want! By baking homemade cookies in this smart cookie oven you will have the perfect cookies in less than 10 minutes! With a compact convection oven, it allows for fast baking! Buy this oven now and make cookies every night in the quickest way possible! These heat reactive mugs will display an illuminated night sky, when your beverage is cold the mug will be stars and when you add a hot beverage to this mug a full sky of constellations will appear! Make your teeth shine with these natural teeth whitening sticks that won’t put any chemicals in your mouth. These are easy to use, quick and affordable! Make these your best purchase yet, your smiley will surely be noticed! Give your bathroom some pop with these new soap bars! These handmade bars will give your bathroom the color it needs and it will ensure a long, proper hand washing! Hurry up and buy this product today! Purchase these silicone pens to make your office or desk space pop with color! These pens look like grass but will surprise anyone when you hand them a pen to write with. These pens come in packs of 12 and this natural color will definitely be what you need to brighten everyday! Never leave mans best friend behind, bring him along on your bike rides with this dog bicycle seat! He will never get tired and you two will be right next to each other! This seat comes with a safety harness that will keep your dog snug and ready for the ride! This device is the perfect item for anyone who doesn’t care about the exact time of day, for people who like to have fun, relax and take their time. With the left eye telling the hour and the right eye telling the minutes, this clock will bring a smile to your face everyday! Aren’t you tired of using so many paper towels and having to buy them all the time? Switch over to this reusable paper towel and you will never have to do that again. Clean up messes with these eco-friendly towels that are tough yet gentle on your surfaces! They also come in festive colors and designs! You won’t ever have to worry about being unsafe again when you buy this flashlight! With a hammer, knife and club, this flashlight will be a necessity when going into dangerous places or if you end up in a bad situation. Not only does this flashlight come with defense mechanisms but it is also waterproof. Hurry up and buy this flashlight to ensure 100% safety at all times! Keep the glow of the moon right beside you every night. This rechargeable light gives off a gentle glow just like the moon that is cool to the touch, you can set this beside you or hold it all night! Perfect for a night light or a reading light! With this 56 quart capacity ice cooler you can keep all your drinks cool but this cooler also comes as a sound system with an Alpine Bluetooth speaker and amp! You get a two-in-one! Get this item to create the perfect hangout spot! Make your child’s winter the best one yet when you purchase this snow fort building set! They will make your yard look like the surroundings of a castle! But once winter is over these molds are perfect for making sand castles as well! With this special bookshelf you can organize anything you need but in the most stylish way possible! You will never have a boring old bookcase in your house again, this bookshelf is modern and you can design it any way you want! You can either use this glass for wine as a stylish wine glass or as a a martini glass, either mood and you’re covered! This is perfect for any event and it is ideal for entertaining, it is also dishwasher safe. Don’t miss out on your opportunity to get these glasses! Aren’t you tired of throwing out tubes of toothpaste or medicine when you know there is still some left that you can use? You know you are wasting it but there’s no possible way you could get it out of the tube. Well now there is! With this tub squeezing tool you will get out every last drop and you will not be wasting anything when it is time to throw out the tube! It is easy to use and definitely worth it! Create six different refreshing drinks with this Margaritaville frozen drink maker. You won’t have to go outside of your home and spend your wallet getting a perfectly made drink, you can make your own and stay within the comfort of your home! Enjoy these drinks now, buy this maker today! Use this stylish lamp to create a nightlight or romantic mood in any room you desire. This easy to clean, and no mess lamp will make your room relaxing and it also acts as an air purifier! You can also change the bulb color to any color you want making the lamp shine green, pink, red, any color you want! This pillow is designed to help you get the benefits like yoga would, improved posture, increased oxygen flow and freer breathing while you sleep. These pillows come in a few different sizes and shapes that are suitable for all different sleeping styles and body types, choose your perfect pillow and sleep better tonight when you buy these pillows! This mattress is a pressure-relieving and support foam mattress for your dog. Now your dog will be as comfy as you are and they will get 18 hours of sleep on this inviting little mattress. Get this for your dog soon and make them the happiest little animal! Just a few quick rolls and your screen will be free of any fingerprints, smudges or smears! This touchscreen cleaner removes bacteria and sanitizes your screen every time you use it. Only 3.5 inches this item is small enough to fit in your pocket and you can take it anywhere. Hurry up and get this perfect touchscreen cleaner! Make the life of your fruits last much longer with these blue apples that absorb ethylene gas to keep all of your fruits fresher, longer! This can save your family up to $600 every year and it is the most simple device to use. Just place it with all your fruits and enjoy your fresh food! Wake up easier than ever with this tea making alarm clock. This compact design will fit perfectly on your nightstand, what better way to wake up than to wake up to a fresh, warm cup of tea every morning. Hurry up and buy your bliss before it’s all gone! Make your favorite frozen desserts in just 10 minutes when you buy this instant ice cream maker! If you like soft or hard ice cream you can make either and this machine comes in 6 different colors. This ice cream maker is not limited to just any flavor either, make almost any flavor that you desire! Halloween is almost here you don’t want to miss your chance to get these amazing pumpkin string lights! With these lights, they will brighten up your house or any Halloween party, it is the perfect piece to finish off your decorations. They are stylish, easy to handle and a reasonable price! 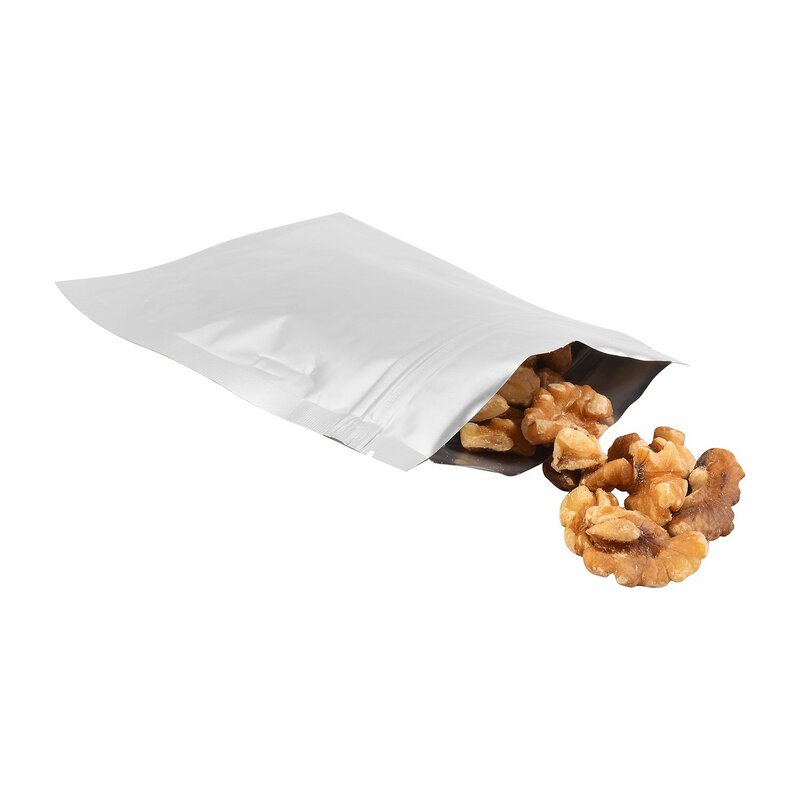 This is the perfect item to keep your snack close and to keep it all neat and tidy! Don’t keep your cookies waiting, buy this and dunk them right away! Always have troube peeling your fruits and vegetables? Never have time for it? That will all be fixed if you get this automatic fruit peeling machine that will peel any fruit or vegetable in just three quick minutes! Having a healthy snack has never been easier! Get this mesh hammock pool float to add to your pool this year. It is perfect for staying mostly above the water but also staying cool! This float comes in various colors so you can match it to your pool theme! Attach this door cover to any door you want to make your house creepy and scary this Halloween! This lightweight, easy to use door cover will make anyone dare to come up to your door. Add this light string to any room or outside event to bring out the fall colors this season. With 20 shades of brown, autumn colors this string of lights is the perfect piece to bring warmth to any room for fall! Get this 10 piece drinking pool game set that comes with a tray to serve anyone! Bring your pool game to the next level with these shot glasses. Hurry up and order them now! Make your nails spooky this Halloween with 4 mini nail polish bottles that are the perfect colors for Halloween! All colors can make scary pumpkins, spiders, monsters or whatever you want that will add that little detail you need to your costume this year! Any small lit candle will power this lamp allowing you to enjoy relaxation at any time. No mess, no cords, no batteries, no problem! Don’t miss out on this perfect item to make your bedroom the most peaceful place that will help you sleep like a baby! Stick this item to any window or desk and escape the stress and noise of everyday life. With its anti-vibration technology this will block off nearby vibrations and noises all around you, creating a bubble of relaxing peace. Never get your cash stolen when you buy this bolt safe! It is small enough to take with you anywhere and no one would ever know that your cash is hidden in this hollowed out bolt. Hurry up before it’s all gone! Decorate your own house of horrors this Halloween with these scary signs! They will add the scary you need in your lawn, its easy to use, easy to set up and you can use these signs year after year! This floating cloud speaker will catch the eye of everyone who walks into the room, with its levitation features it is also fitted with LED lights that react to the sound of the music you play. Check it out and add this amazing accessory to your home! Don’t miss out on your chance to bring fall in a jar into your home! With this pumpkin spice candle you will truly bring fall in the air, making spirits brighter. You will definitely not regret it! Never get cold again this winter when you buy this perfect Cocon Chair! The most cozy chair in the world will keep you staying lazy all day, coming in grey and red, adding this chair to your home will make it the most cozy place to be! You can pamper your man with whatever likes/interests he has by buying him these man buckets! This one is the Handyman, but whatever theme you choose, the bucket will be filled with everything in that theme! From the Handyman, to God of the Grill, to The Outdoorsman! Get this fall fun selection set of nine different fall scents to really get into the fall spirit! What better way to make your fall even better by smelling like it?! Hurry up before it’s all gone! Add this decoration to your party to start off this Friday night! It is perfect for various events, it comes in six colors, size 3ft.x 8ft…big enough to really get the night going! Don’t miss out on this opportunity to get this knockout party decoration! Know someone who always gets their grammar wrong? Get these perfect grammar pencils for them that come in all different colors and they will never use the wrong word again! Place all different colored skull candles around your home to make Halloween really come alive. With realistic looking skulls, people will dare to enter your house! Make your fall and Thanksgiving perfect with this welcoming sign that will lighten the mood and put people in happy spirits! This sign can go anywhere from your front door to the classroom or in your kitchen, you choose! Nothing will beat this skull shaped beer pitcher at Halloween parties or celebrations. This will definitely bring out the inner man and it is the perfect way to drink your best tasting beer in a pitcher shaped like an evil skull! This is the perfect piece to finish your Thanksgiving dinner table. Three pumpkins with the “carved” word look will bring the Thanksgiving feel into your home! These decorations will last for the whole month of October, definitely worth spending your money! Complete your home with this cute kitchen towel set, perfect for the wall weather! This set is the finishing touches you will need to achieve the fall look, hurry and check it out! Always forget to remember your daily medications? Wondering who you can ask about illness, injury, or particular food right on the spot? What you need is Pillo the robot! Not only does he remember and remind you when to take medications, but he can answer any health questions that you ask! He connects with you by recognizing your face and voice and he will always make sure you are staying healthy! Stylish outdoor light that lets you interact with people outside of your door. This security light will keep you safe due to its alarm siren and its smart motion detection. Wearable Pain Relief – This item provides 100% drug free pain relief using advanced technology that automatically adjusts stimulation to deliver optimal pain relief. It also includes Bluetooth connection and a smartphone app so that you can monitor your pain therapy and sleep. Keep you desk organized with this Wooden Keyboard Rack Organizer. If you have trouble keeping your desk organized like me then this is the perfect item for you. It’s handmade with differently shaped and sized compartments so you can keep your items neat. A great way to never lose or forget your charger & wallet again. This wallet with a built in charger is crafted from Horween Leather and is slim enough to fit comfortably in your pocket. With a 2400 mash battery it is capable of fully charging a iPhone 6. The perfect gift for that special guy in your life. It’s a valet for your phone, wallet, keys, pens, glasses and much more. It is designed to be compatible with the IPhone 6 & 6s. Make exploring the water that much better by getting this totally transparent kayak. Grab a friend or journey solo and experience the ocean up close. A 1 year warranty, seats and paddles are including with purchase. This is a great popcorn tub for family move night and sleepovers. This melamine bowl is dishwasher safe which makes cleaning it no problem! This can be a great conversation item for when guests are over. Not only has pretty much everyone heard of Star Wars but getting tooth picks from Darth Vader is a lot better than the packaging. This key holder can help save space on your key loop and stop them from jingling all day. Its modern design is stylish, can be ordered in a variety of colors and its practical holding up to 7 keys while also being able to conveniently fit a bottle opener. A slow motion frame that can fit weeds, flowers, bird feathers and even small branches that will make them appear as they are moving in slow motion. This frame combines science, technology and art to create the illusion of slow motion. Traveling can create some of the best memories. This personalized wall map will help you to remember them all! After each trip, simply just place a pin on the location you traveled to so that you can remember your favorite part of the trip. Extremely rigid and durable paddle board supporting up to 350 lbs. This board is easy to travel with and will provide endless fun on the water. This light provides just enough light for visibility as you move around, no more using your phones flashlight! For all you Pokemon Go lovers who may not have the best aim, this is the perfect item for you. This case also allows you to level up faster by ensuring you get “great” or “excellent” throws! This is a great item for cooling off while still enjoying the outdoors. This is also a great item for outdoor sport teams because lets face it, when it gets too hot you just cant perform your best. This charger is military grade and completely waterproof. 10,000 mAh, charges almost any USB powered device and includes a USB charger wrapped in paracord , nylon strap and carabiner. This 24 liter capacity backpack makes sure you have enough room for your items while being waterproof but also can fold down into a compact size of 5 x 3 x 2.5 inches for easy travel. Let’s face it, feeding your pet can sometimes become a hassle and making sure you feed them the proper nutrients can be hard. The SmartFeeder allows you to control feeding times, portion sizes, proper ingredients, and you can also have their food delivered to your doorstep all with your iPhone. The app is compatible with IOS 8 & higher and currently doesn’t work with android devices. A great organization and decor item for the office. This is a limited edition oak wood pencil holder that provides a unique way of holding pens and pencils. Unleash your inner Viking with the Goat Story Horn-Shaped Mug. This 12 oz. mug is 100% leak proof, BPA free, comes with a set of (2) straps and the holder can easily be transformed into a stand. This durable water-proof blanket is perfect for any outdoor activity whether you want to sit on the sand without getting it in your clothes, if you want to sit in the grass but its wet or if your having a picnic but don’t want dirt in your food. With puncture resistant fabric it’ll keep you separated from rocks, twigs and pebbles. With plenty of designs to choose from these shower curtains allow you to add color, value and depth to a bathroom. The high resolution pictures and 100% polyester fabric the curtains bring a 3D like realistic feel to your bathroom. Outdoor Scented Candles – Enjoy the nice smells of the great outdoors without actually going outside. These candles are perfect for those who love the smell of the outdoors. Enjoy your favorite ice cream or food of choice with these edible chocolate spoons. You receive two silicone spoon molds, once the chocolate filling hardens you can easily pop out the chocolate without breaking it. Enjoy cookies and milk all in one with the Edible Cookie Shot Glass. The “glass” is an edible cookie that comes in different colors and flavors. What you put inside is up to you! His & Her Key holders – A great gift for couples! These key holders help you know which keys are who’s so you don’t accidentally grab the wrong ones! The scorzie not only keeps your drink cool but also keeps score. The Scorzie is ideal for games up to 21 points, and perfect for bbq’s, tailgating and any outdoor game. This USB charger brings fun to ordinary charging by lighting up when charging has started. The dual USB ports allow you to charge two devices at once and since it lights up, its great for night time. Tired of losing your remotes? Now they have a home with the Cozy Remote Control Tidy. Can hold up to 4 remotes and its design adds a splash of color to your living room. This portable sprayer is perfect for the outdoors because whether you went through mud, sand, dirt or just stepped in something disgusting this will rinse it right off! This jump rope displays your progress in the air by using LED lights. Smart rope syncs with the mobile app called smart gym platform, a perfect item for someone who likes to see their progress. This is the perfect bag for any trip because your items inside will stay dry no matter what you run into. This bag still has that classic duffel bag style but gives that bonus of being waterproof. This vacuum will keep dirt, pet hair and crumbs under control. The Sweepovac is easily placed in any kitchen by installing it in the bottom of cabinets. It will remove dirt in seconds and with such a sleek design you won’t lose any space. Three white shadow boxes with a natural wood background and a vintage paint finish. These area a great item for decorating your home. This mini projector works with phones, laptops, gaming devices and tablets to create better, bigger entertainment. The video input can be up to 1080p and the display can stretch to 120 inches. HDMI, MHL, remote control, usb charger and a flexible tripod are all included. Plush animal toys with interchangeable parts, a great item for kids! whether a pig wants to fly or what if a giraffe wants to be short? All is possible with the Chimeras. Once you plug your phone into this charger the LED lights light up and move toward the phone as if they were electricity flowing from the port to the phone. When you unplug the phone the lights stop moving for a second then turn off. This automatic toothpaste dispenser provides the perfect solution to messy toothpaste tubes, instead of trying to get that very last bit out this item does it for you. Just press your toothbrush against the inside lever to get just the right amount of toothpaste in only a second. The Machete Spatula – this spatula lasts long, improves your cooking potential, is equipped with a bottle opener and will make barbecuing far more fun! This edging can be easily pushed or pounded into the ground eliminating digging which can be very time consuming. It’s flexibility and durability allow you to make aggressive curves and straight sections with ease while also having a cleaner appearance. This candle is topped with wax Froot Loops and comes in a heavy duty glass bowl with a real spoon included. For all you cereal lovers, this is for you! Inspired by the most widely used sub machine gun used of military and police forces around the world. Made from hard rock maple, this machine gun can shoot 24 bands up to 30 feet! This shower head has a built-in automatic temperature sensor with color changing lighted LCD display and is powered by running water which eliminates the need for batteries. The shower head is also adjustable and has 5 different stream types that can be switched through easily! This organic LED surface light will provide glare-free light so that you don’t strain your eyes. This lamp also features a wireless charging pad, simply place the device you wish to charge on the walnut base. A unique way of holding your shoes. Its sleek design allows you to keep that precious living room or entry way space. Comes in either a free standing or wall mounted design. The X-Star drone is a easy-to-fly drone with 4 propellers and a 4k quality camera for superior aerial imagery. This drone also features a HD live view with 720p quality up to 1.2 miles away and has autonomous flight modes such as: orbit, follow and way points. Self sustaining garden & aquarium, fish provide the nutrients for the plants while the plants clean the water for the fish. You can grow any of your favorite veggies, herbs and greens all-year-round. A manual operated espresso machine that eliminates the need for electricity, batteries or gas propellants. This machine is portable, easy to use and makes high quality espresso and coffee drinks. Leatherman Multi-Tool Bracelet – This bracelet features 29 different tools that can be assembled multiple ways for everyday tasks. The multi-tool bracelet is very convenient and stylish. A modern curved designed bed with button-tufting on the headboard. This bed provides an eye catching appearance while providing you with comfort. This intelligent frying pan gives step-by-step directions that adjust as you cook. A embedded sensor measures the temperature on the surface so that you can cook your food at just the right setting. This frying pan also has an optional autopilot mode that will automatically adjust the heat setting. The BB8 Droid is a true droid with autonomous behavior and a adaptive personality. Connect the BB8 to any smartphone or tablet through Bluetooth Smart BLE connection and enjoy endless hours of fun. This droid can preform a variety of different commands and can recognize and react to your voice. Ambi builds a tailored profile of temperature preferences to make sure you’re comfortable by keeping your house at just the right temperature. Ambi can save you up to 30% of your energy bill by reducing the risk of overheating or overcooling. To setup all you have to do is plug it in, download the app, connect to wi-fi and get your space to the perfect temperature in minutes! Everyone loves paper airplanes so a remote controlled one has to be tons of fun. Contains Bluetooth Smart Technology controlled by your smartphone and a micro USB for charging. This wall decal adds style to any room and is much cheaper than hiring a painter. It measures to be 21″ tall and 51″ wide and sticks to almost any flat surface for easy set up. This is hands down the coolest cooler you will find. Its features include: a 20V rechargeable battery blender, Bluetooth speaker to enjoy hours of music, extra thick insulation for up to 5 days of ice retention, built-in USB charger, LED light, bottle opener and can support over 600lbs! Add some fun and decor to any room with just a piece of paper. After purchase you receive a PDF file that takes you through how to turn a simple piece of paper into a masterpiece. A Bluetooth music speaker, adjustable night light, reading light, sleep light and mood light all in one. This is the perfect item for the bedroom, nursery room or living room. This light has 20,000 hours of light service life, 100 different light color settings and a high quality speaker with Bluetooth compatibility. This is a compact multi-tool in the shape of a credit card that has 9 different tools for every day tasks. The tools included are: a combination can and bottle opener, a steel blade, awl, a lens with 8x power, compass, toothpick, ruler and tweezers, these all fit inside a 2.125″ thick and 3.375″ long credit card shaped holder. The DayOne Waterbag with the P&G purification packets are capable of treating 2.5 gallons of water in just 30 minutes, getting rid of cysts, viruses, bacteria and arsenic from water sources. To obtain your water just open the bag, dip it in the source, add a P&G packet then simply close it, use its sturdy straps to carry it to your desired location and hang it up. These wood rings come with a handmade landscape design that provides immense detail. They are available in many different colors making it a great accessory to any outfit and style. These shelves are great for showing off your favorite photo, book, toy or decorative item. This set includes one large, one medium, one small shelf and all of the hardware for installation. Enjoy the perfect cup of tea with this tea infuser, simply take the top off and spoon in your favorite loose tea. This tea infuser comes in a set of 4 different colors and is made out of pure food-grade silicone and stainless steel. Enjoy the warm weather in the Clove balance chair, this chair is perfect for any patio or deck and is all season durable. A heavy duty spring and synthetic wicker and rattan weaving provide added comfort. Franklin Sports Croquet Set – 43% off! Get ready for summer fun with this croquet set, this is a great set for anyone who likes being outdoors and playing games. This set comes with 6 mallets, 6 balls, 2 stakes, 9 wickets and a deluxe carrying bag. Enjoy a relaxing nap after a long day of work, hiking or any activities done throughout your day. This hammock has the weight capacity of 600 lbs and is easily folded and stored into its integrated pocket. It also comes with a hook for convenient use and is machine washable. This floating globe uses a electronically controlled magnetic system to levitate, the top of the base contains and electro magnet and field sensor while the bottom contains a micro-processor. The C-shaped base has built in LED lights making this gadget look awesome in the dark. A convenient shelf with two side compartments that have removable shelves and a cable/wire management system which is great for optimizing space. This is the perfect item for an office, den or living room and is available in three different colors: black, white and espresso. This wall clock is a stylish and practical home decor item. This clock has a alloy clock face, a aluminum clock pointer and a protective film to eliminate scratches and damage to the clock. Four small but heavy duty magnets ensure that your phone will go nowhere even on the most rugged roads. This car mount is made to fit most smartphones with or without a case and provides 360 degrees of rotation for easy viewing. Wouldn’t it be cool if your mug could match how you feel in the morning when you don’t have your coffee vs. when you do? Well now it can, the Morning Mug shows a sleeping face when cold and wakes up when hot. This mug also comes with an attractive gift box making it a great gift for anyone who enjoys coffee! The Luxury Bathtub Caddy is a sturdy tray that can adjust to fit to almost any bathtub while safely holding your tablet, book or smartphone. This tray also has a convenient cup holder for your favorite beverage with plenty of room left over to fit all of your needs such as candles or toiletries. These stink proof bags are completely odor free, resealable and leak proof making them a perfect item for herbs, snacks and liquids. 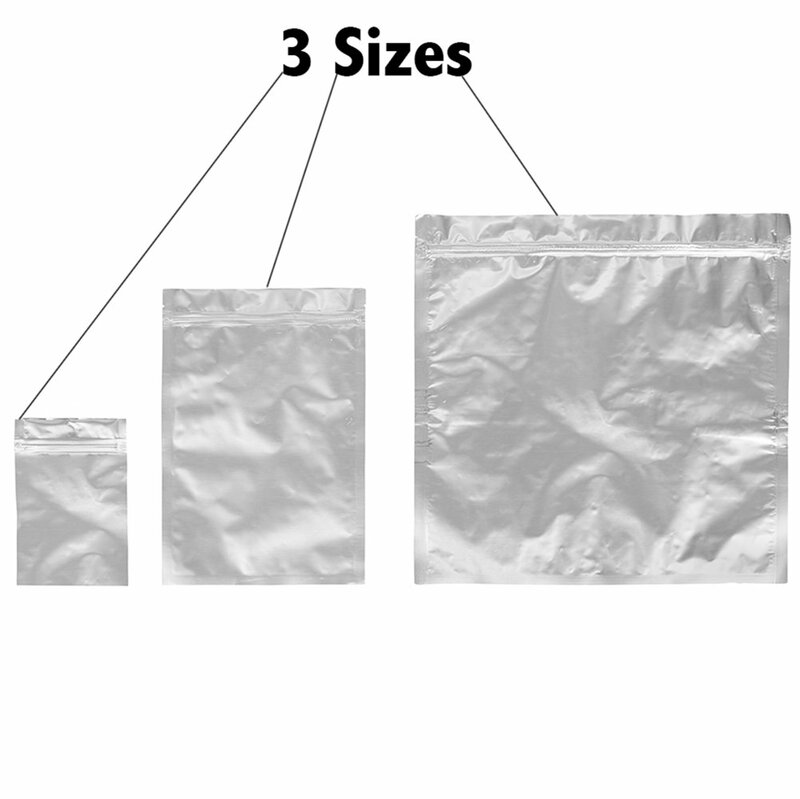 The contents in the bag cannot be seen from the outside and these bags comes in three different sizes allowing a multitude of items to fit inside easily. Set the mood with just the click of a button. These flameless candles are made out of ivory colored wax and come with a convenient on/off remote. Achieve the natural and realistic look of a flame wax candle but without the chance of wind ruining the setting! This half football beer mug holds up to 18 ounces and is scratch resistant making it a great item for game day, every day use and tailgating! It’s double wall design causes superior insulation. 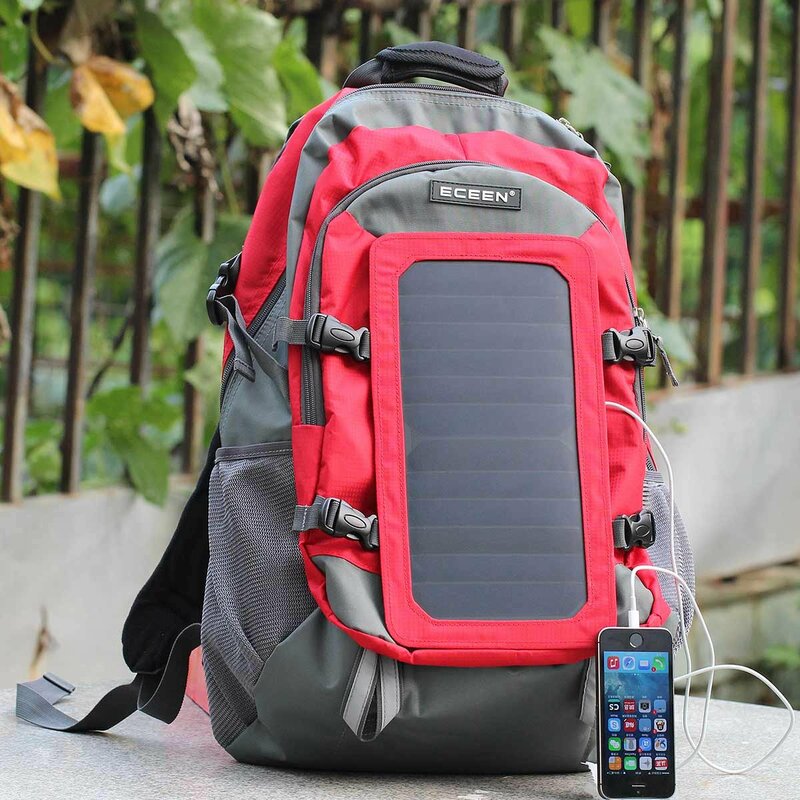 This backpack provides on-the-go power with the ability to charge a variety of devices. It also has plenty of pockets for storage and is made of high quality nylon fabric which is very light and durable. Avoid becoming an icicle next time you go camping. This sleeping bag is able to go 12 hours on a single charge and has a water resistant lining to help keep you dry and warm. 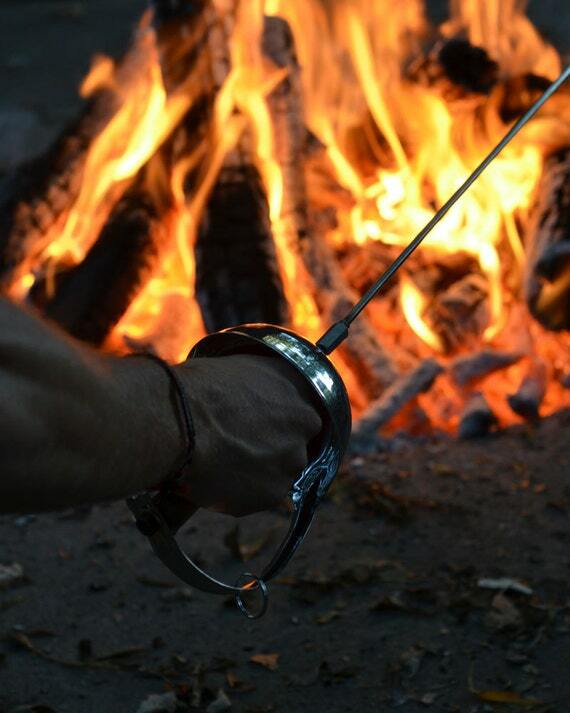 Make roasting your marshmallows and making S’mores a lot more fun with these Campfire Sword Roasters. They can also be used to defend yourself from enemies! Just kidding they probably wouldn’t be very useful in one of those situations. 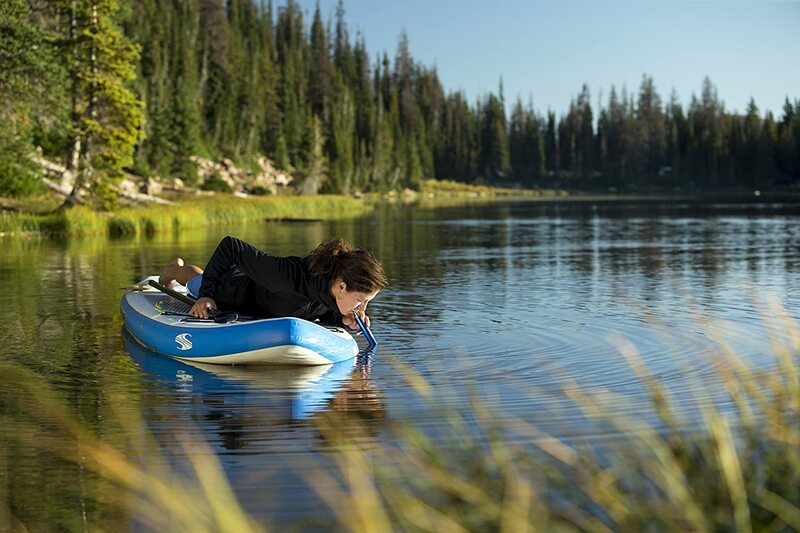 The LifeStraw removes a minimum of 99.99% waterborne bacteria and 99.9% of waterborne parasites allowing you to drink water safely. This straw is made out of stainless-steel and can filter up to 1,000 liters of water. A convenient to carry collapsible light that has 3 different light modes: high, low and SOS Blinking. This light can be charged by solar panels or you may turbo charge it with the micro USB port. 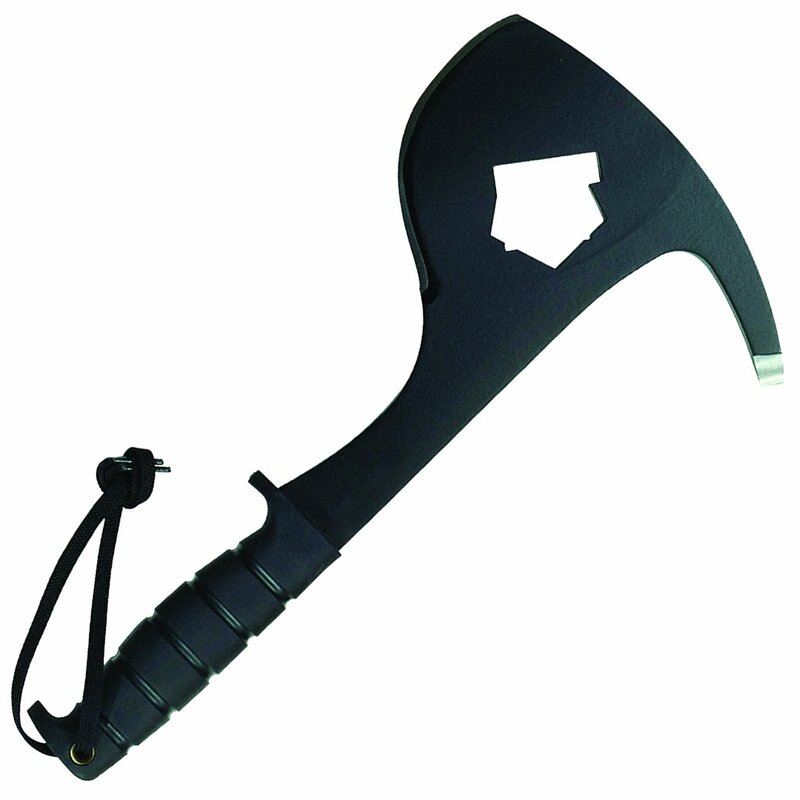 The Spax can be a knife, hatchet, or a pick axe depending on the situation at hand. With a weight of 26 ounces and being made of 1095 carbon steel this makes a useful tool for camping. This item was designed and engineered for the outdoor enthusiast. The handle provides an easy carry and the color of the blade allows easy visibility and of course adds style. This is not only a great item for camping but any outdoor activity where snakes could be present. 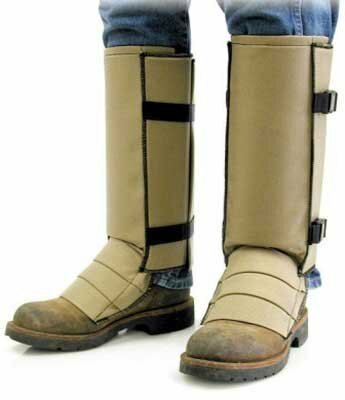 They provide cool and comfortable leg protection. A compact waterproof and weatherproof fire starter. Now you can easily start a fire to stay warm or cook food while your out camping. This fire starter comes with a mini compass and detachable ball chain. This lantern provides a 15 x 15 protection zone with a 20m beam distance. It effectively repels mosquito’s black fly’s and other biting insects making it a great item for a camper. Add some color to your room with this multicolor hat rack. Great for work, home office, family rooms or anywhere storage is needed. Made of metal with 8 multicolored plastic balls on the end of each hook. The Port Solar Charger is the ideal mobile solar charger with embedded USB port. Due to the integrated suction pad it can be attached to any window, whether it’s at home, in the car or on the plane. You are backed up by an internal 1000 mAh rechargeable lithium battery which brings your stored sun-power wherever you go! he Nest Shoe Rack is one of the most stylish and convenient ways to store your shoes! It comes in either a wall mounted or free standing version – both of which hold your shoes without compromising that precious living room or entry way space. Its super sleek design allows you to grab your shoes quickly and easily. Flip a switch and launch your very own nuclear attack with the Useless Box. Well, actually, turn the Useless Box on and this clever electromechanical box turns itself off. That’s right, experience endless, useless fun with the fully assembled Useless Box. Also known as the Useless Machine. Built from the Useless Box Kit, we eliminate all of the work for you. Home Run oven mitt. It looks like a traditional leather baseball glove, but lets him keep his cool when the cookies are hot. Whether you need to cut it, carve it, saw it, punch a hole in it, strip it, scrape it, screw it, file it or tweeze it, the Multi Function Pen will do the trick. The Multi Function pen is a tool pen that is perfect for do-it-yourselfers, handymen, campers or anyone who wants to be prepared for life’s little emergencies. Fashionistas rejoice! The Stiletto Shoe Rack is a sleek, discreet shoe rack designed specifically for your stiletto collection. This unique storage solution keeps your high heels off the floor to prevent clutter and disarray in your closet. The simple and clean form provides a discreet backdrop so the focus is on the real stars, your shoes! The Woozie is a wine glass insulator that is fun and functional. Keep your wine cool and always know which wine glass is yours. No more warm wine to tolerate or wet glass to hold. The Woozie is the perfect answer for your white or red wine…keeps the temperature constant. From the makers of the Useless Box, comes the next totally useless, but totally awesome gadget, the Marble Machine! The Marble Machine is a scaled down a marble maze that operates on its own using battery power. The marble tumbles down the funnel, through the chute, and is automatically brought back up to the top to start the process over again. A great sized container for all sized toothbrushes including electric! Wilson the Whale is here to store multiple bathroom items, adding a BIG SPLASH of fun to the tooth brushing routine! Kids will have a whale of a time with Wilson. Designed to hold any combination of remote controls, mobile phones, wallets, glasses & more – the Snug Tidy is the perfect end table or nightstand accessory. This compact solution is perfect to use by the bedside, kitchen, in the living room or anywhere around the home! he Key Doorstop is a bit of a design rebel as it holds your door open rather than the conventional locking it shut. The Key Doorstop is the perfect way to hold open your doors at the office or even at home! The Wired Wave Coat Rack is finished in exquisite chrome. It’s six (6) hooks can hold up to eighteen (18) coats and can effortlessly accommodate all your umbrellas, bags and gloves too! Original Scorzie is the original scorekeeping beverage holder, ideal for games up to 21 points, and perfect for bbq’s, tailgaiting and any outdoor game. Featuring two scoring rings that click into place and a foam lined cooler , the Scorzie is a scoreboard and beverage holder all in one! The Rocky Desk Butler – Desktop Organizer is a fun and playful desk organizer in the shape of a dog. He has a magnetic mouth for paper clips, he holds pens and pencils, he has easy storage for rubber bands around his neck and a small storage space on his back. The Duo Over the Door Hooks is unique door hook – fitting almost all doors perfectly and it gives you a handy hook on both sides. With various sized pads, you can be sure of the correct fit, no matter your door size. Flip a switch and launch your very own nuclear attack with the Useless Box. Well, actually, turn the Useless Box on and this clever electromechanical box turns itself off. That’s right, experience endless, useless fun with the fully assembled Useless Box. With its sophisticated, free-flowing design that marries form with function, the Droplet Bottle Opener is the beautiful way to open bottles. The Droplet Bottler Opener is free standing with soft rubber feet. This elegant, cool bottle opener is happiest when it’s standing proud, out on display. You’ll find you’ll never want to drop droplet in a drawer! What a lively little helper! The Rafael Rubber Band Holder is uniquely designed to be the cutest rubber band holder in your office. The Horizontal Shoe Rack offers a modern, stylish and convenient way of storing shoes. The Horizontal Shoe Rack gives the appearance that shoes are floating off of the floor! If storing all your shoes is becoming a problem, this stainless steel horizontal shoe rack is the perfect solution. QR-Cups, Truth or Dare Edition, are your classic red party cup with a twist. One of the funnest drinking games you’ll find. QR-Cups are perfect college party cups or for any adult party. Get a group together, everyone grab a cup and circle around. Go around the the group taking turns scanning the QR-Code on the cup of whomever you choose. The contemporary design of the His and Her Key Holders incorporates a male and a female form, which is raised up against its background forming an interesting design aspect and clearly identifying who’s keys are whose! Each key holder is supplied with its own unique key, which is then attached to your own set of keys. Show them you care with a diamond ring ice cube tray. Use this flexible silicone tray to make unusual ring shaped ice cubes, chocolates, candies, soaps, or anything else that can be melted and remolded. One tray makes six pieces. No more searching for your remote controls, now you can have a home for them all with the Cozy Remote Control Tidy. Constructed of non slip rubber this eye-catching designer remote control organizer stores up to four (4) remote controls. This tasteful solution adds a visual splash of style to your living room! Available in five (5) colors -Black, Cool Gray, Red, Purple and Green. Build your own first aid kit with this classic designed first aid box. Removable tray and inside compartments will keep your essential items organized. Red painted metal with a white cross for easy identification. Side carrying handles. tart your next party off with an explosion! The Grenade Ice Cube Tray comes with two (2) ice trays that make twelve (12) grenade shaped ice cubes each. Can be used to make ice, chocolate and jello molds! This original hand clock from Karlsson has now become a classic design which makes a striking as well as functional statement on an wall. Chimeras turn stuffed animals in to stuffed Toys. With interchangeable ears, arms and legs, Chimeras make plush toys more fun. What if an elephant wants to fly? What if a bat wants to be super strong? Chimeras make all of this possible. With interchangeable ears, arms, and legs, Chimeras makes plush toys more dynamic and more fun. Want to continue to hone that jumper or foul shot even after the sun goes down? Then you need the Glow In The Dark Basketball Net, a glow-in-the-dark net that makes it easy to play basketball when little or no light is available. During the day, the net pulls in and stores sunlight, and then remains illuminated for up to an hour in the dark. The Little Big Time Mini from Karlsson is one of the best clocks for modern home decor. Stand out from others with this statement piece in your living room or kitchen. This small wall clock will fit great in any room in your house with its three available colors. This easy to use tape dispenser is in the shape of a cassette tape. We’d like to see them try to pull this off with a CD! Mix things up at your desk and pay homage to the beloved cassette tape of the 70s and 80s with this heavy duty, lighthearted rubber desk accessory. Your heart will skip a beat when you see the lifelike details on the World’s Largest Gummy Heart!TM Sure to get your blood flowing with its sugary sweetness, our gummy heart is great for Halloween, Valentine’s Day, or whenever you’re in the mood to eat your heart out! Add some style to your desk with the Casa Organizer. This subtly stylish yet incredibly practical desk organizer keeps all your essentials conveniently stored together. The spacious rear section has the capacity to hold wallets, sunglasses, mobile phones, music players and more. Giant 4 is the classic 4 in a row game resized to giant proportions. Fully assembled, this game is approximately 31.25 inches wide by 27 inches tall, and the coins are 3 inches in diameter. Giant 4 is played by dropping the coins strategically to get 4 coins in a row. The winner is the first player to connect four coins in a row either vertically, horizontally, or diagonally! Make a statement with the Cactus Wine Rack. This high-quality durable wine rack is constructed of powder coated steel and available in a two-tone green finish. The cactus thorns hold up to eight (8) bottles and provide a unique way to store your wine. Perfect shape for holding two toothbrushes. Blue and yellow boys and girls designs. The Float Magazine Rack is a cleverly designed piece that actually holds your magazines in a hanging position as if they’re floating on air. This quality rack is constructed of powder coated steel with a polished chrome finish and holds up to 12 magazines. The magazines slide in and out of the rack so they can be easily removed or replaced. The Big Head Coin Dish is a playful character that holds all of your loose change in his head and even his cleverly designed hands can hold a few coins for you! A fun way to lighten your pockets and store all that extra loose change. Use Big Head Memo Pad to write messages, notes and reminders. This miniature man with an oversized dry wipe head is a quirky, but practical desk mate. Made from non-slip rubber he holds the included dry wipe pen either in one of his hands or resting on his feet. He can be stood up, or laid flat if preferred. Available in Black, Red or Purple. When you walk into a party with the Beer Briefcase, everyone will know you mean business! The Beer Briefcase is the safest and most professional way to bring a six pack to a party. Each bottle is safely nestled in its own foam slot that keeps it from hitting its neighbor and breaking. The foam also helps to insulate your brews so they stay icy cold until you reach your drinking destination! Create Batman logo shaped ice cubes, cool! Vinyl product hand wash only, do not place in oven, microwave or hot water. The Face Bank is a uniquely designed piggy bank that literally eats your money! It’s fun for kids because the mouth moves as you put your hand close to it. It’s the savings bank that will make them want to save. A great gift to teach kids of all ages how to save money! The Face Bank is such a blast that you will be tempted to feed it continuously! Just be careful he doesn’t get too fat! Oral hygiene is way more fun with Animal Toothbrush Holders! Kids will be excited to brush their teeth with these cute bathroom accessories in the shape of some of their favorite creatures! These fun toothbrush holders come in four (4) styles: giraffe, dinosaur, snail and bird. Great for adding a pop of color to any kids bathroom. A new battery digital alarm LCD clock from Karlsson featuring a rubber clock case which incorporates all the buttons for snooze, setting and light into the rubber case. The clock has an LCD display which only lights up blue when the light button is pressed which means that the alarm emits no light during the night. Is your office cold in the morning? Or worse, all day long? Well the USB Heated Shawl is your answer. Just plug it into your USB port on your laptop or desktop computer and place it around your shoulders. It even has a button to hold it in place around your shoulders while you work. It can also be draped over your legs to keep them warm or warm them up. This Grenade Ice Cube Mold is guaranteed to add an explosion to you and your guests drinks! A larger cube takes longer to melt. Big ice cubes keep your drink colder longer, so this grenade will keep your drink cool without diluting its flavor. Frozen bullets for that killer drink For the killer drink, freshen up your beverage with a round from the AK Ice tray.